Marmee March: [finding him a coat] I think this one will do; let's try this. Is it your only son? Marmee March: [deeply moved] You've done a great deal for your country, sir. Elderly man: Oh, not a mite more than I ought, ma'am. I'd go myself if I was any use. Thank you for the overcoat. 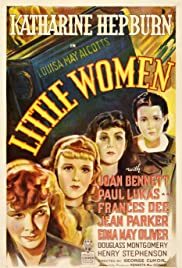 Q: What is 'Little Women' about? Q: How old are the March sisters at the start of story? 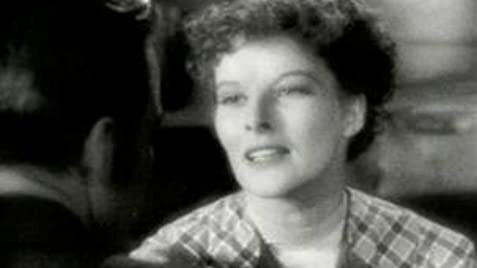 See this version of course, for the definitive Jo March in Kate Hepburn. She is all angles, awkwardness and tom-boyishness, while gradually becoming this graceful young woman. It's my favorite performance of hers, and that's saying something. The screenplay is first-rate, winning the Oscar that year, and most of the actors are just fine, with Spring Byington a notable exception as Marmee. (Director George Cukor did not want her in the film, and he knew what he was talking about.) But the wistful, gentle Beth of Jean Parker and Edna May Oliver's crotchety Aunt March are awfully good . I've always been especially taken by the performance of Professor Bhaer in this version. Portrayed by an utterly charming Paul Lukas, he embodies the professor with a three-dimensionality that Louisa May Alcott didn't seem to want to bother with. His scene where he is criticizing the writings of Hepburn's Jo is extraordinary in how subtly it changes tone--from critic , to would-be suitor. It ends with a look of longing from Lukas, that only a director like Cukor would hold so long. Not like the 1994 version with a far too handsome Gabriel Byrne showing none of the uncertainty that an older poor scholar should show while falling in love with a young woman. Great stuff. Great director. Just a shame that the sound quality isn't up to the rest of the film.